Check out the original Ken Kelly Micronauts art here. Still have my Repto AND the awesome card packaging! Thanks for posting this. 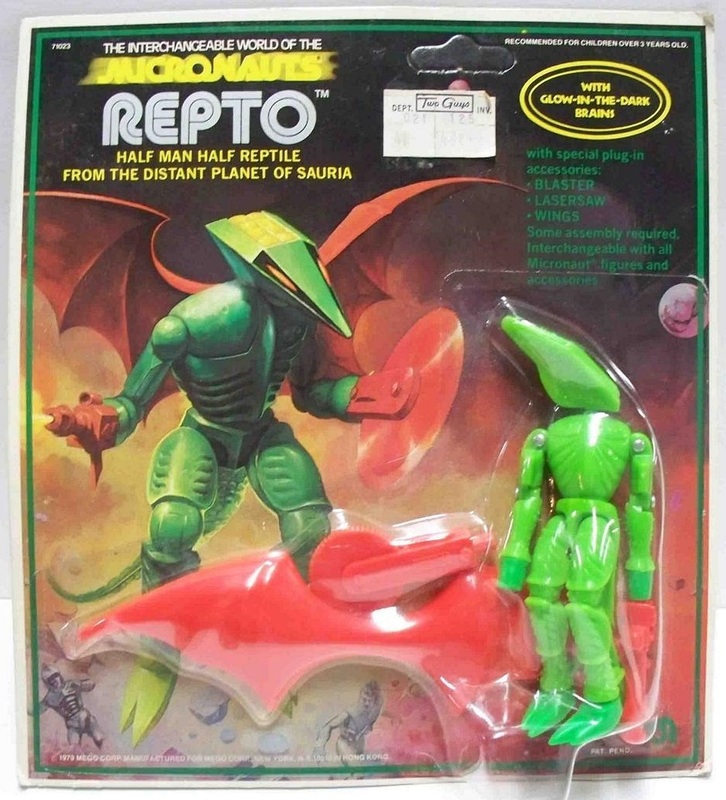 I’ve had Repto for years but never knew his name. I found it lashed to a firework that landed in a bush in my grandfather’s back yard in the mid-80s. Lashed to a firework? That’s awesome. If I ever do a movie about the ’80s, that’s going to be the first scene. I had Antron, and Repto,, Membros just looked dumb. I think I remember a commercial for some of these toys. Antron was shown sliding on string with his hook, IIRC. 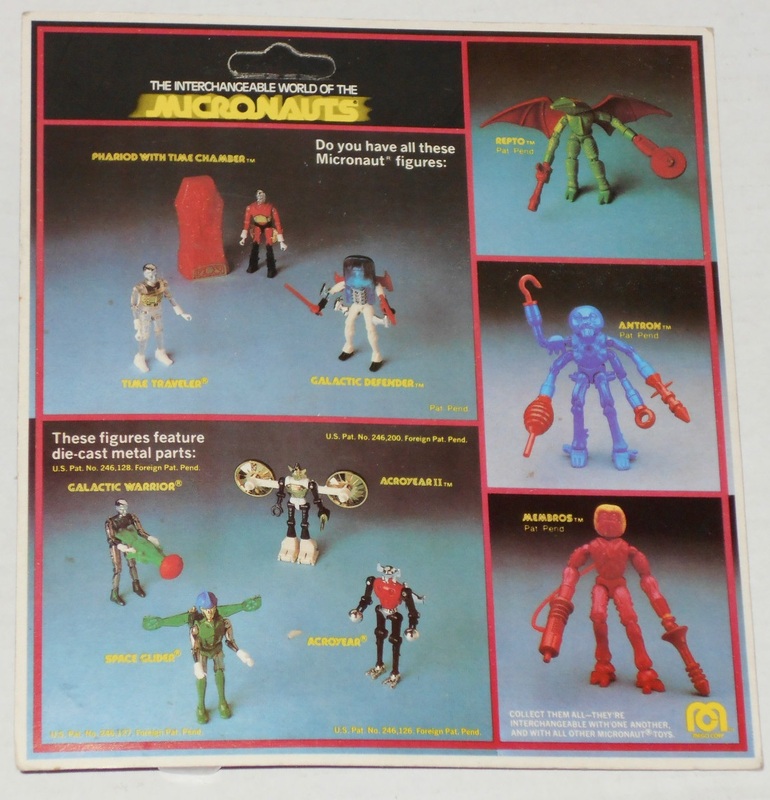 One of my friends was really into the micronauts when we were kids but I don’t think I had more than one or two of them. 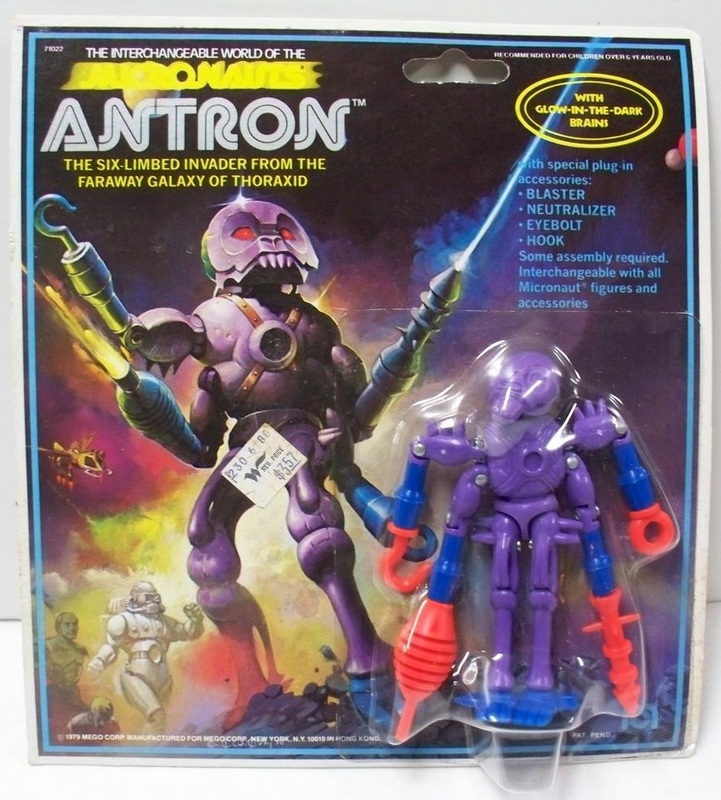 I do however recall the really heavy die cast metal they were partly made of, and the strangely delicate plastic hands. Thanks for the memory jostle! These were still some of my favorite action figures well into the G.I. Joe era. The centaur guy (predictably named Centaurus and not shown here) was my favorite. The “eyebolt” on Antron makes me laugh. Used for what, exactly? And Membros’ “hydrapipe” sounds like a hookah to me. oh my God! I had Antron and Repto–I think the Antron “eyebolt” was to let him rappel down any available rope line. 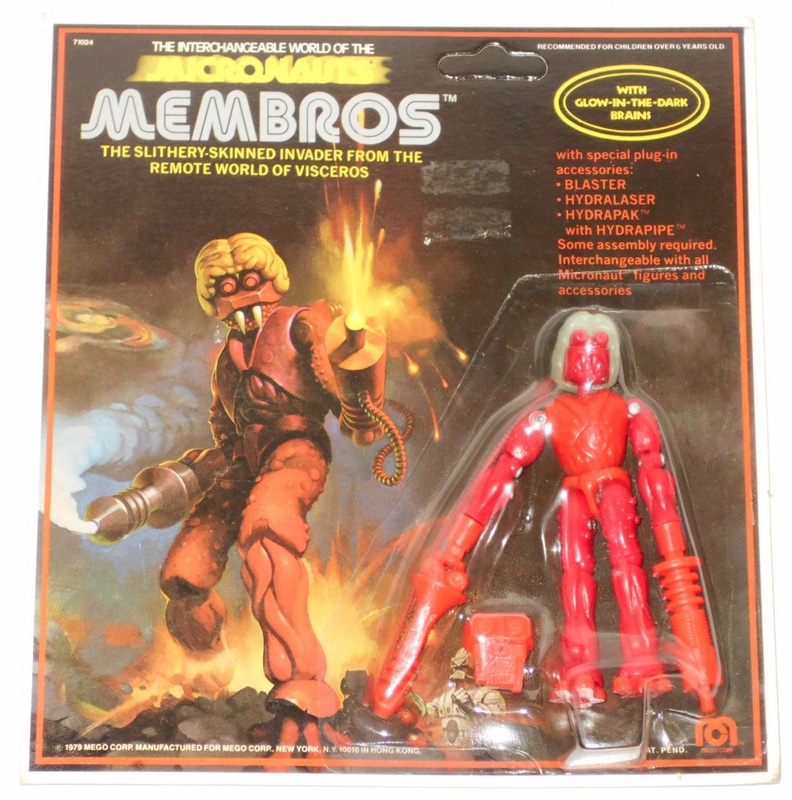 I remember thinking Membros was kind of sleazy and not a character i’d want to own.